Self-build Retirement Home with Integral Workshop – Duncan Clark & Beckett – RIBA Chartered Architects Colchester, Essex. 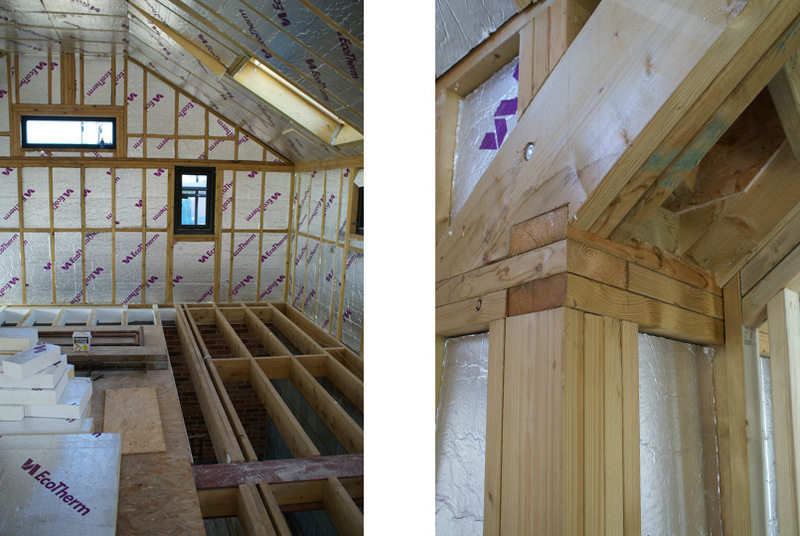 Self-build: a new retirement home with large integral workshop, built to Passivhaus standard. The clients are accomplished craftspeople, and are building most of the internal joinery themselves, including stairs, doors and handles. An oak tree that was felled to enable the build has been used for a new table and stair treads. More photographs of this lovely new build to come over the next few months. 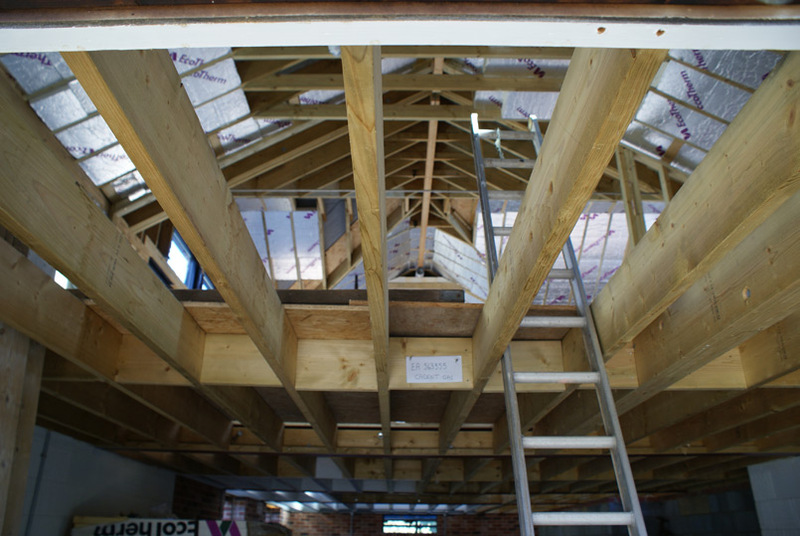 All timber frame construction, built on site, framing left and truss detail right. View from ground floor workshop space up to first floor open plan living space. 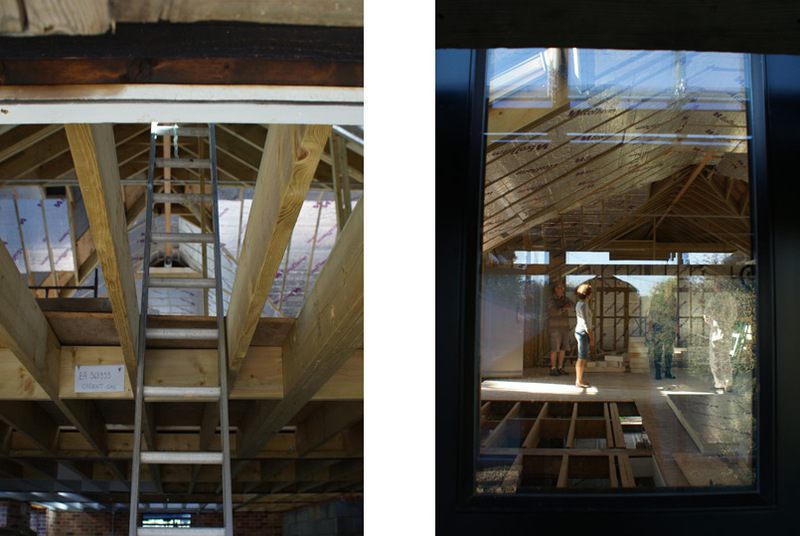 More images of open plan first floor under construction; the build is taking place in the clients’ back garden allowing them full involvement with the construction process. 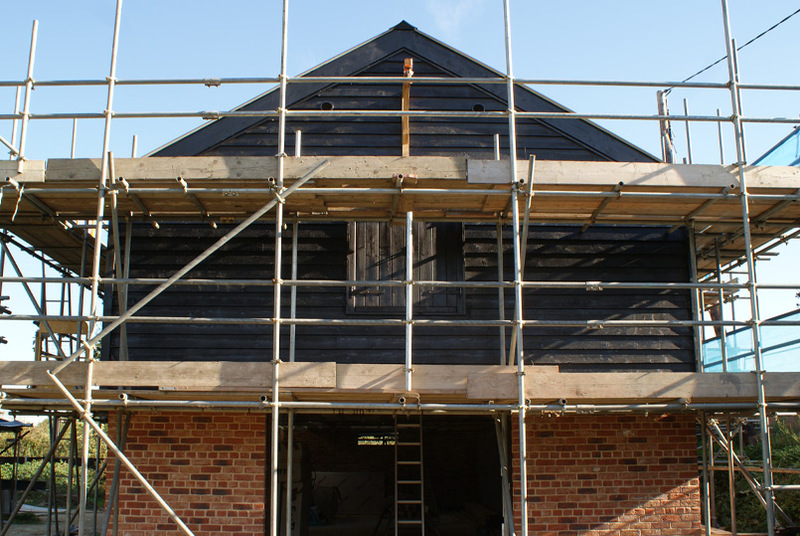 The clients wanted a Essex barn appearance completed to Passivhaus standard. 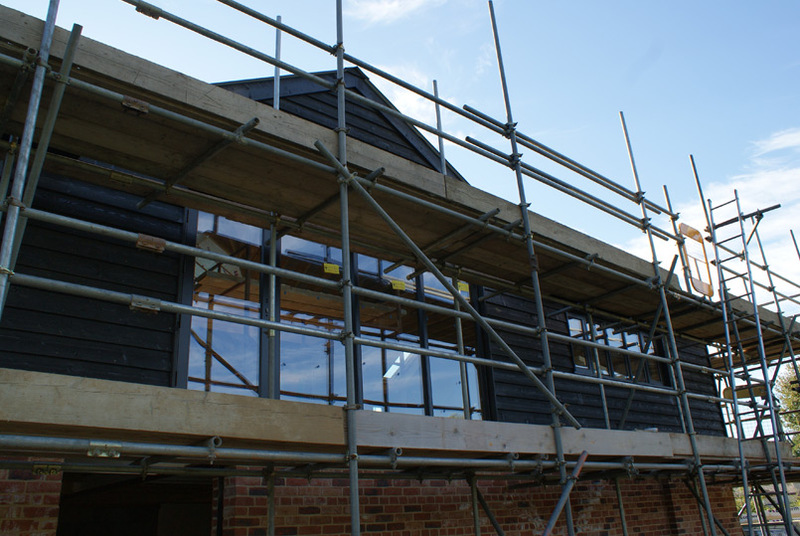 ⟵Two-storey extension to family home, Hadleigh.